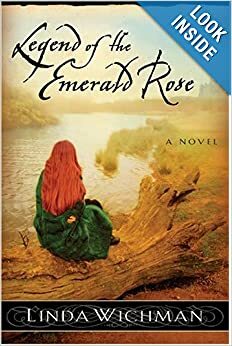 A NOTE to my tribe of faithful friends and fans of ‘Legend of the Emerald Rose’ who are patiently waiting for me to write something, anything! FOR almost a decade I’ve undergone the slow, harrowing metamorphosis of being an award-winning author, and an active wife, mom and Nana (Hi boys!) into someone quite different. Today, I live with the facial-pain disease of Trigeminal Neuralgia/Atypical Trigeminal Neuralgia and severe chronic migraines. One disorder alone is disabling, but combined there are no gentle words to describe the physical, mental and emotional agony of this progressive disease. Add prescribed pain medications and on most days, my muse is in La-la Land while my body inhales M&M’s and cruises Fox News Network and Netflix. Despite this obstacle, I give all praise and glory to God! The way I look at it, this is just another season, guys. The stories continue . . . and so will I.
PS: If you suffer from chronic pain or TN please don’t hesitate contacting me through Facebook or my email address.